As eastern China battened down in the face of Typhoon Muifa, officials have counted up the devastation caused by natural disasters in July: at least 204 dead and 43.6 billion yuan ($6.75 billion) in economic losses, with 7 million hectares of crops damaged. Inner Mongolia, Shandong, Sichuan and Shannxi were hardest hit by floods and landslides, while the drought in Guizhou and Hunan became more severe. July’s death toll followed the 279 who had died as a result of natural disasters in June, which took the total for the first half of this year to at least 449. During those six months, China was hit by seven 5.0-plus magnitude earthquakes while the middle and lower reaches of the Yangtze river experienced their heaviest rainfall in more than half a century. A large portion of the deaths in July were caused by lightening strikes, according to the Ministry of Civil Affairs, without giving a number. 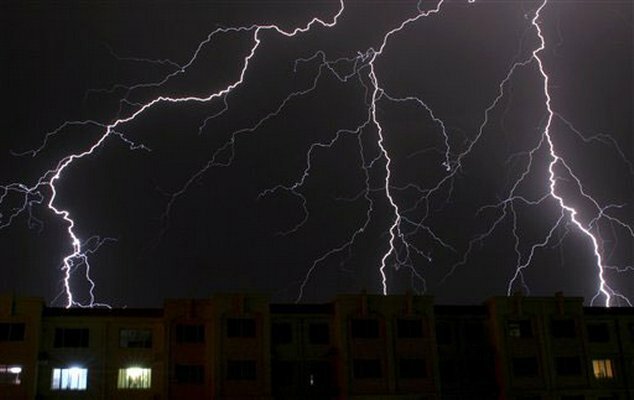 In June, 15 people died after being hit by lightening, the ministry had said earlier. Such fatalities have been on the decline since 2007 when lightening killed 744 people, mostly farmers caught in thunderstorms and unable to find shelter, making it the third most deadly type of natural disaster after floods and mudslides that year. Even so, we estimate, some 300 people were killed by lightening last year. Early warning systems for severe storms have been improved, but cover only 85% of China’s rural areas. It is not expected that the percentage will reach 90% until 2015.